When the days start to get longer and every second not spent outside seems wasted, the deck suddenly becomes everyone’s favorite part of the house. Matthews Construction and Design can create a backyard retreat that’s perfect for any outdoor gathering. For the more than 48 years, we’ve been designing and building quality decks and screened porches for Washington, D.C. and Montgomery County, Maryland. Designing the perfect outdoor living area starts with gaining an understanding of your needs. We pride ourselves on attentive customer service, from the design phase to completion. How big of a porch do you have in mind? Will it be a multi-level or have a gazebo? How will the views be positioned to take in the surrounding landscape? Do you see your porch having steps or a ramp or both? Will there be railings or built-in seating? We take all of your ideas into account to create the perfect deck or screened porch that acts as an extension of your home’s current living space. When constructing a deck, the material used has a big impact on the look of the final design. The material also determines the amount of maintenance or repairs that you will spend time and money on in the future. We can help you weigh the benefits and drawbacks of various wood and composite materials. If the aesthetics of natural wood appeals to you, you can still choose a wood type that requires less maintenance. Softwoods like cedar and redwood are great all-weather material that are naturally resistant to decay or insect infestations. Hardwood decking material is another natural low maintenance deck option that will last up to 100 years. Woods such as Ide, Tiger wood, and Cumaru are some of the most durable decking materials that are also 100% free from chemicals and preservatives. Although these are responsibly harvested woods and require low maintenance, they do require some maintenance. Decks made from vinyl or composite materials, like Trex, Timber Tech or Evergrain are made from recycled goods that don’t falter after years exposed to the weather. They also don’t require any maintenance, but they are more expensive than natural choices. As much as we all enjoy the outdoors, the summers in Maryland can be more enjoyable under the shade of a screened porch. Screened porches provide the same function as a deck, opening your house to a steady flow of fresh air, while also providing more protection from overexposure from the sun and blocking insects like flies and mosquitoes from pestering you and your family. 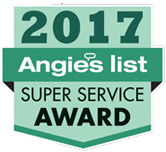 Matthews Construction and Design has earned an A rating on Angie’s List with customers in Washington, D.C, Bethesda, Rockville, and all of Montgomery County. Contact us to start designing your perfect deck or screened porch.